The plastic device on the front cockpit coaming is useful to bungie your paddle to the kayak for brief periods of time. 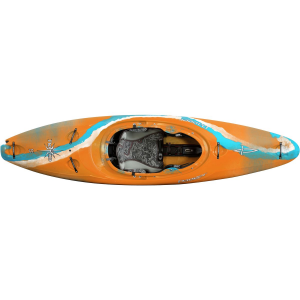 Lay your paddle down 90 degrees to the longitudinal axis of the boat and then hook the bow bungie chord into the plastic device to lock in your paddle. Big boat can get pushed around a bit in class 2 and 3 water paddled by a novice. Has a lot of volume. Buy bow float bags. I wish I had. The Katana is easy to outfit and the fitting can be dialed-in pretty tight because of all the pads and shims Dagger provides. I have a longer rec/touring 13 footer to use when I want to go fast in the lake or on swift moving water. 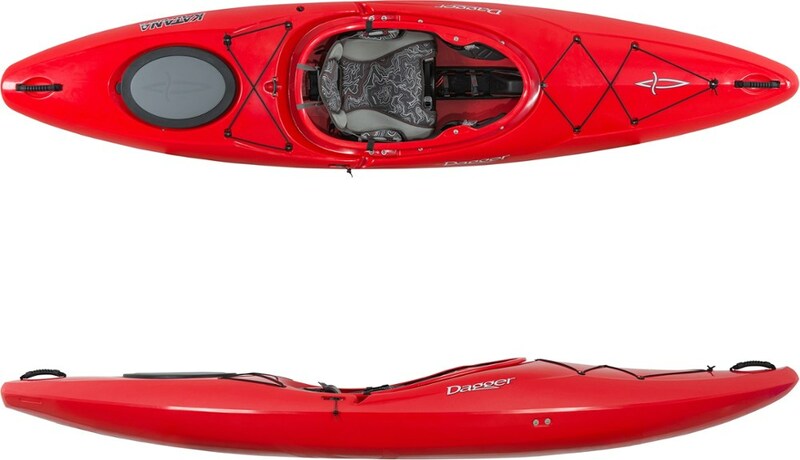 I bought the Katana to be able to paddle area lakes and local moving water. I paddled a Katana 10.4 on the Tuckasegee and Nantahala rivers in early September (class 1, 2 and 3 water). Had a blast. Had to swim a couple of times too because my roll move did not result in a roll. That is on me, not the boat. 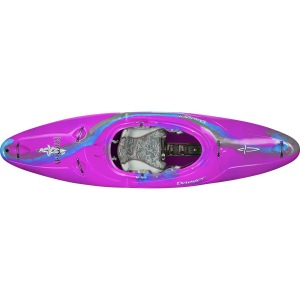 You must buy and install large bow float bags to help reduce the volume inside this boat should you have to swim it ashore and empty the water. The boat I used at the Nantahala did not come with float bags. It almost wore me out trying to empty the boat of water after my wet exits. 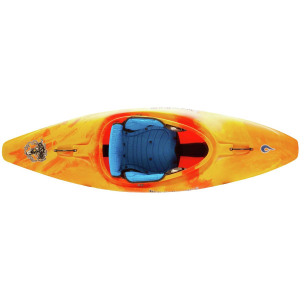 Otherwise this kayak is a great one to learn in. I thoroughly enjoy the boat. It is fun, a good one to learn in, and a good boat to paddle in up up class 3 water. 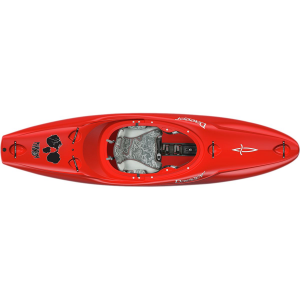 I purchased this boat for flexibility on small creeks, rivers, and some surf play as an alternate to my touring sea kayaks. I am very pleased with this boat. 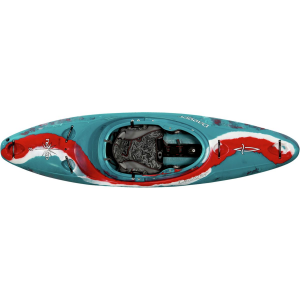 This boat is not a rec boat, yet is for an experienced kayaker. Turnability, even with the skeg down. Sponging out filth under the seat is a difficult. I live on a river where the flow varies day to day due to dams/flood control. Some days it is a grinder, others it is swift and dangerous. 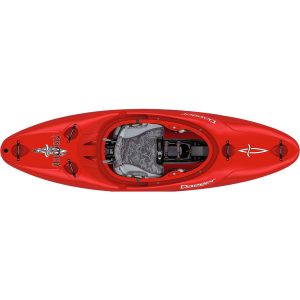 I purchased the Katana 10.4 as an alternative to the expedition touring kayaks that I have. Spoiled by the speed and tracking of a sea kayak, but also hemmed in by the length and mediocre small space turning, I ventured to try something smaller. The Katana 10.4 has not disappointed. It tracks well, with a bit of wiggle and some plowing, but it stays on track. Even with the skeg down, I can bust a tight turn once the skeg breaks track, making up stream paddling straightforward and eddying out very easy. I have yet to get the boat into serious waves, but am not hesitant at all as the stability, and quick reaction of the boat will be fun to learn on more turbulent waters. The rear hatch cover seals very well, without a fight to get it on. The cockpit is excellent. Stock rigging inside is better than I have experienced. Comfortable, secure, adjustable in many ways, and factory bungee lashing on the floor are welcome. It comes with a customizing foam kit too. With the foot brace/wall removed, this boat can hold plenty of gear for a weekender. There is a fishing rod holder behind the cockpit. There is a small plastic grommet device at the front of the coaming, which I have no idea what it is for. I am very pleased with this boat and would recommend it. I am keen to try this boat in many water environments to come! Welcome to Trailspace, Rick! You just taught me a new word today: "coaming." Thank you! I'd love to see some pictures of your kayak in action, if you're willing to add them.